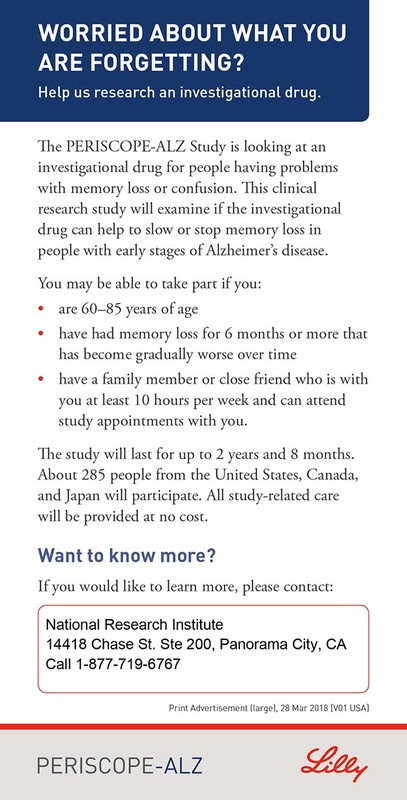 The PERISCOPE-ALZ Study is looking at an investigational drug for people having problems with memory loss or confusion. Have you or someone you love noticed changes in memory? Are these changes in memory starting to impact your daily activities? 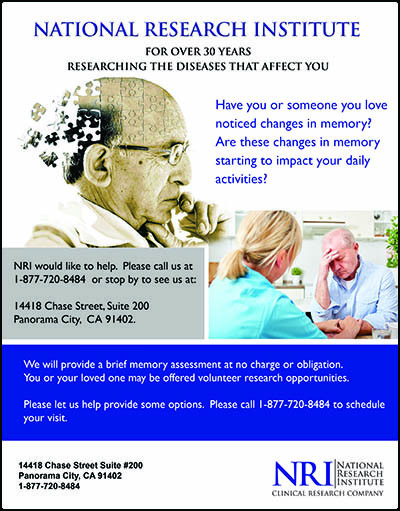 We will provide a brief memory assessment at no charge or obligation. You or your loved one may be offered volunteer research opportunities. 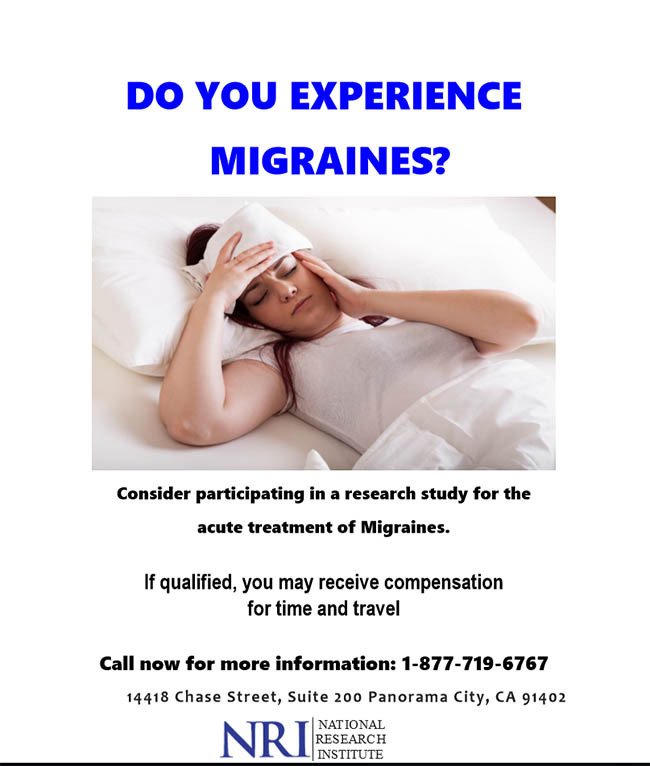 Consider participating in a research study for the acute treatment of Migraines. If qualified, you may receive compensation for time and travel.